Marlon Travel — jo barnard. A travel product company for the modern globetrotter. I've worked with the Marlon Travel team since it's conception in 2015. With the Morrama team taking on responsibility for both the design & engineering of the entire product range, I spent much of 2016 in China working directly with the suppliers to bring the products to market. Moving away from smart tech gimmicks we wanted to create a suitcase that makes the travellers' journey as effortless as possible. 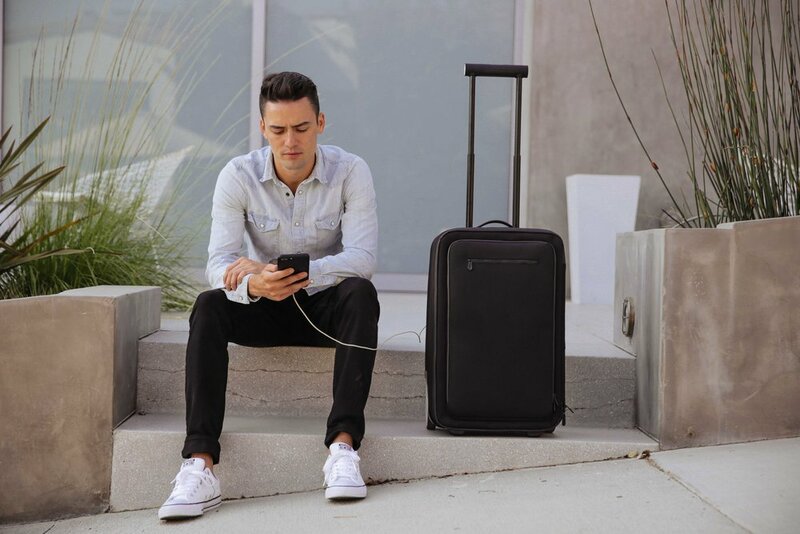 Combining the functionality of a compression system and oversized wheels with a stylish minimal aesthetic, we have created a piece of luggage that is designed to last. Designing three backpacks alongside the suitcase, consideration was made into the form factor, design detailing and functionality between products. The result is a family of travel bags that work seamlessly together. Find out more, or purchase the Carry-on or Backpack here. As Marlon Travel's in-house design team, the Morrama team have since designed an additional two products due for launch in 2018 and I remain a shareholder and advisor.